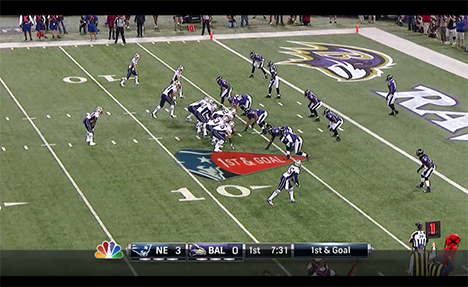 Sunday Night Football Extra has delivered all the NBC Sunday Night Games for the past few years. SNF Extra with it’s exclusive online cameras, picture in picture, and DVR features aren’t available on the iPad. However, you can still watch NFL Sunday Night Football online. The easiest way to watch the game is to go to ipadstream.nbcsports.com/static/nfl2012/index.html to pull up the viewer in the browser. What’s lacking in this iPad stream are all the additional goodies you get with NBC SNF Extra like the additional camera angles and DVR control. It’s just a live stream with a pause button. Oh, and, wait for it…. AirPlay!